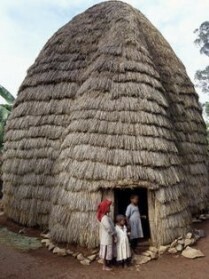 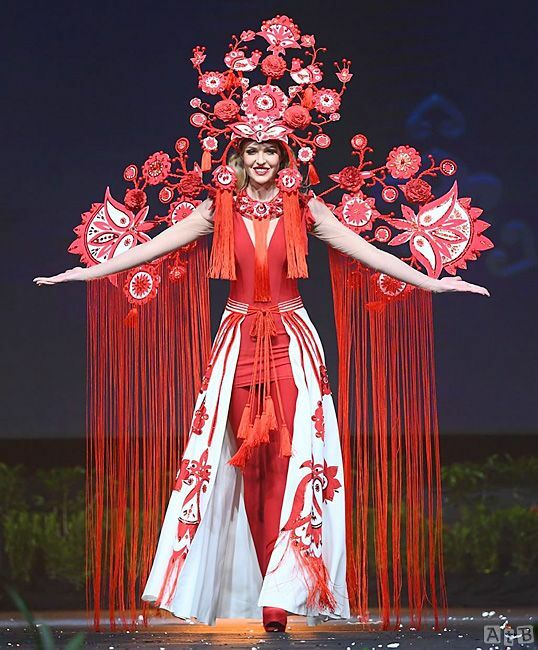 Clothing of a particular style and colours worn to represent a country at international events, or as part of national celebrations. 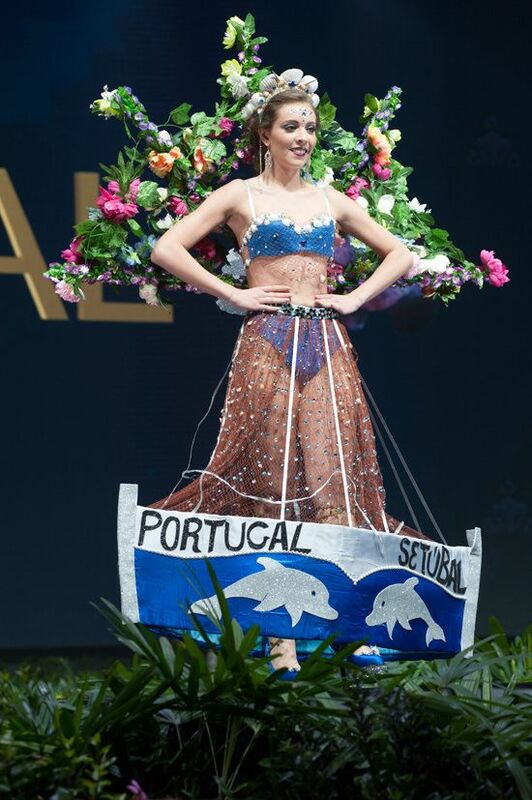 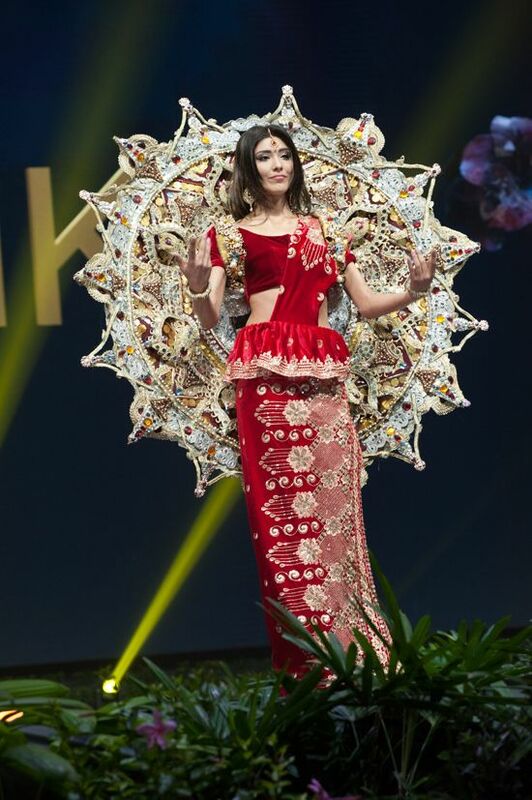 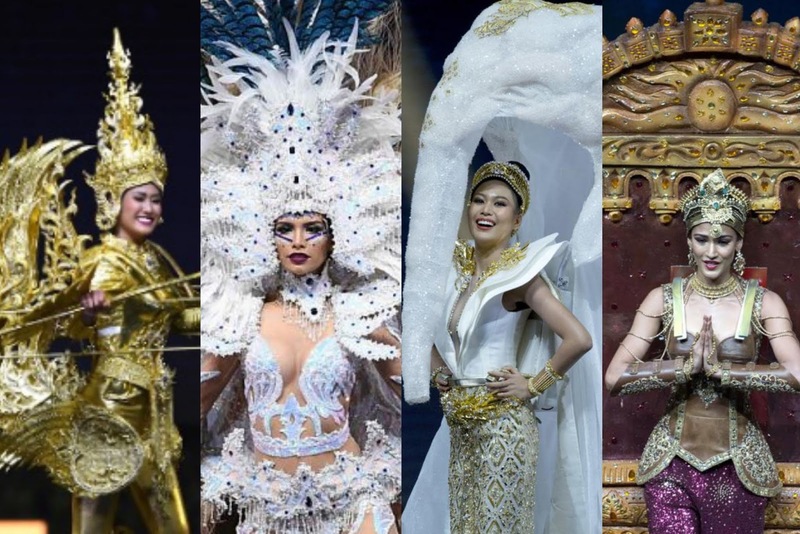 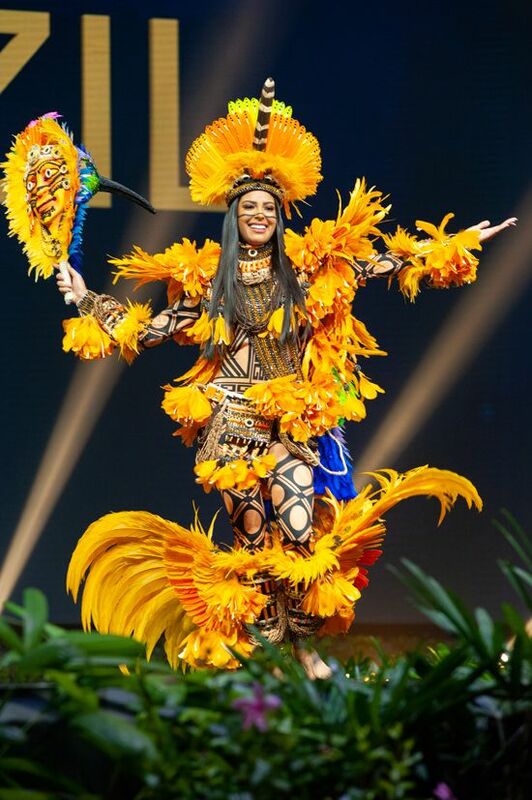 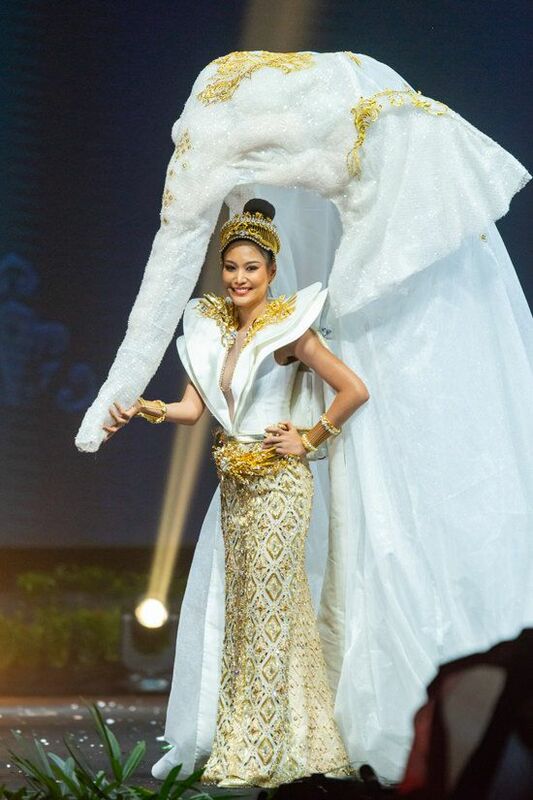 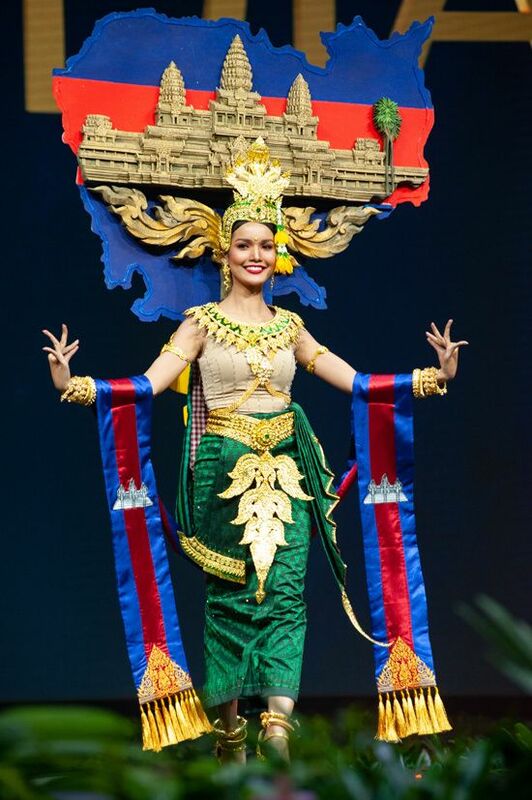 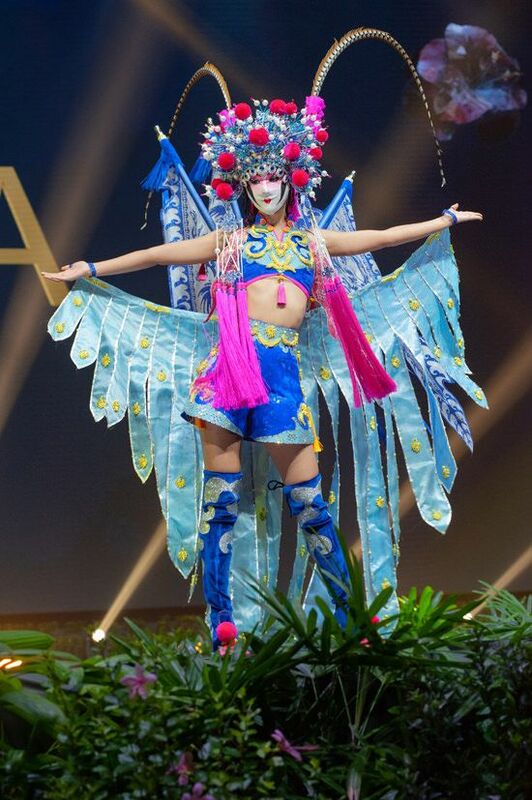 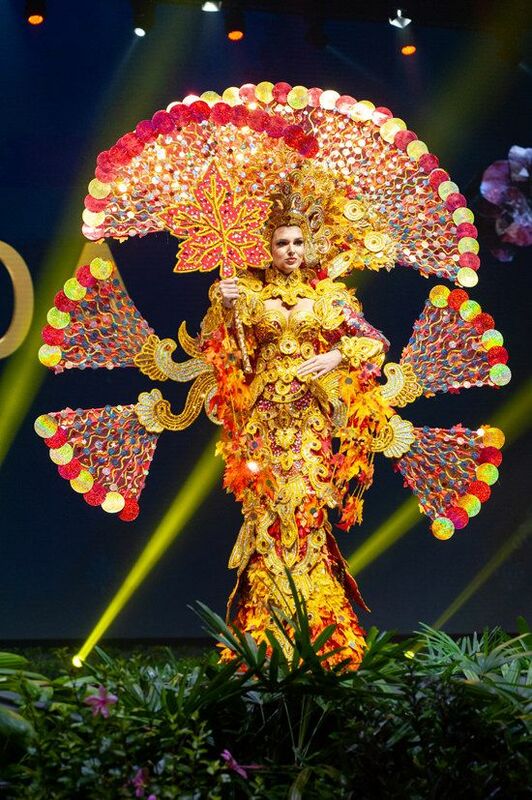 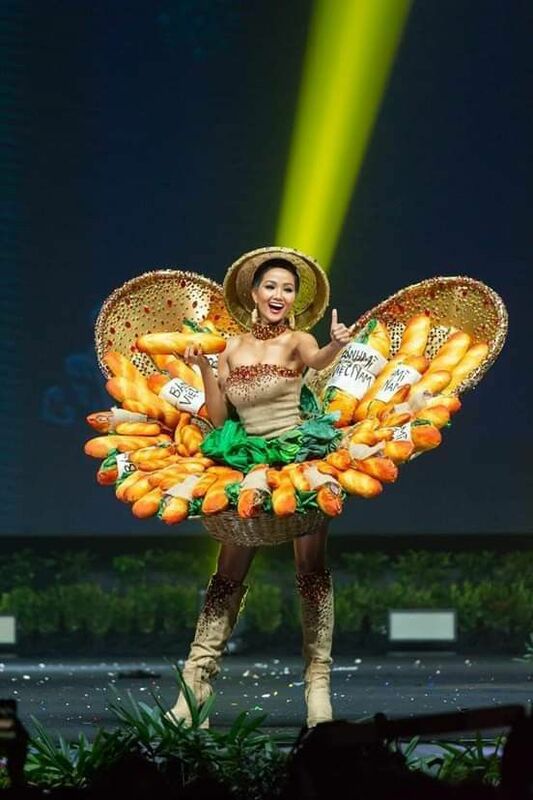 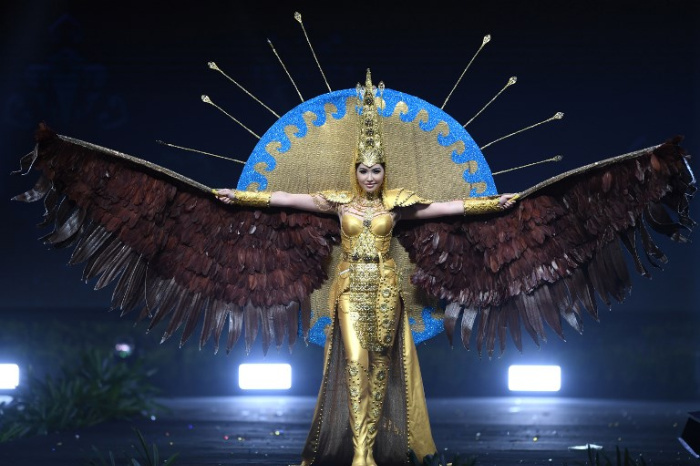 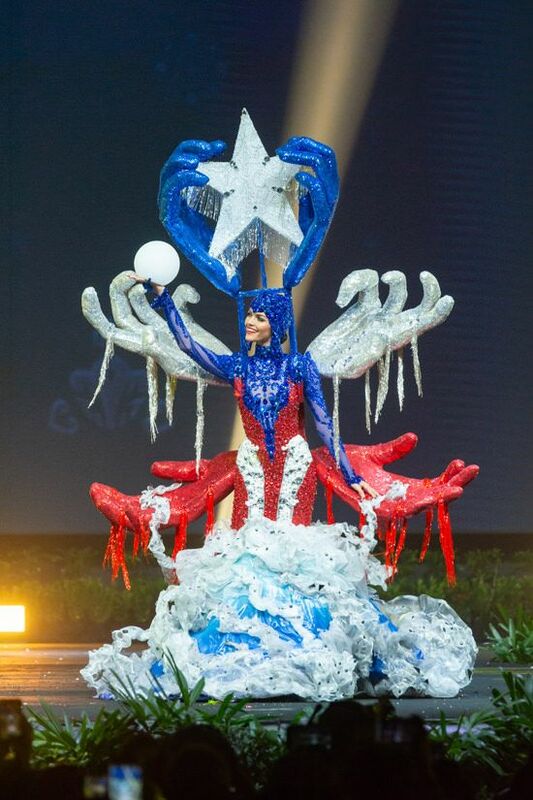 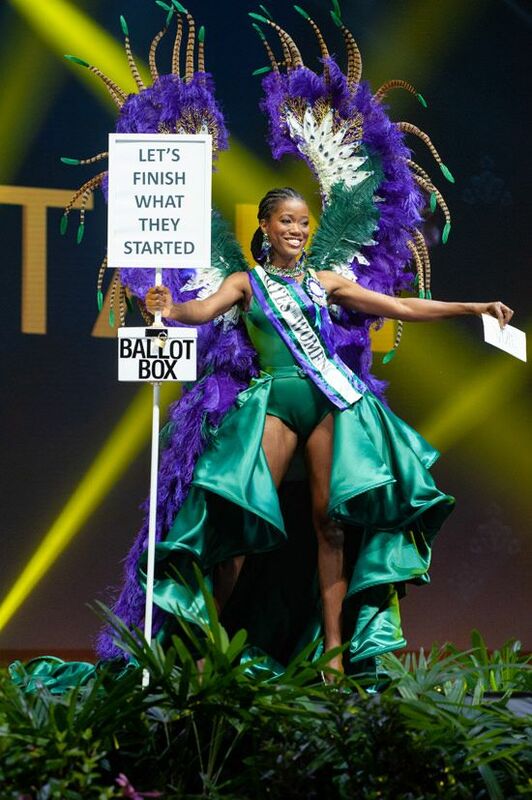 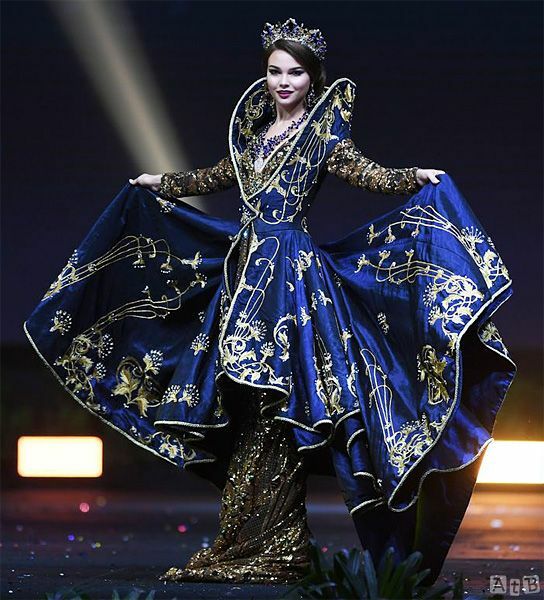 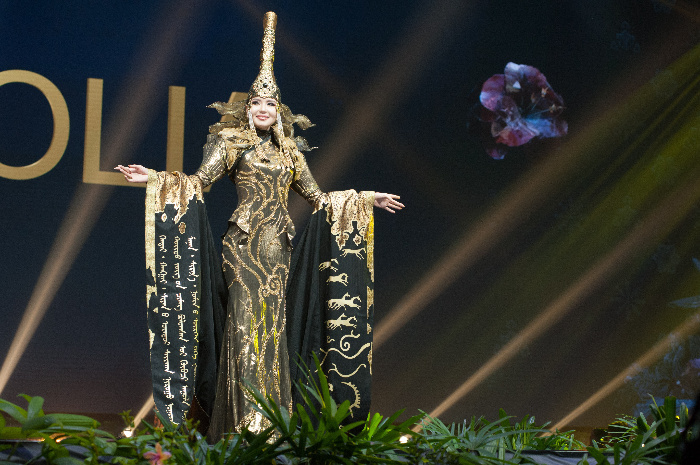 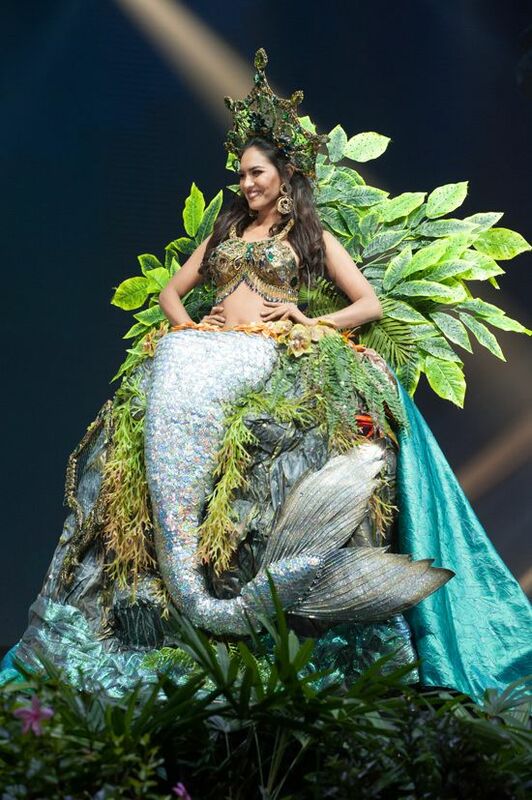 Ahead of the Miss Universe 2018 pageant, contestants representing their countries from around the world participated in the “National Costume Show.” In the show, the women showcased elaborate outfits inspired by their nation’s respective cultures and unique features. 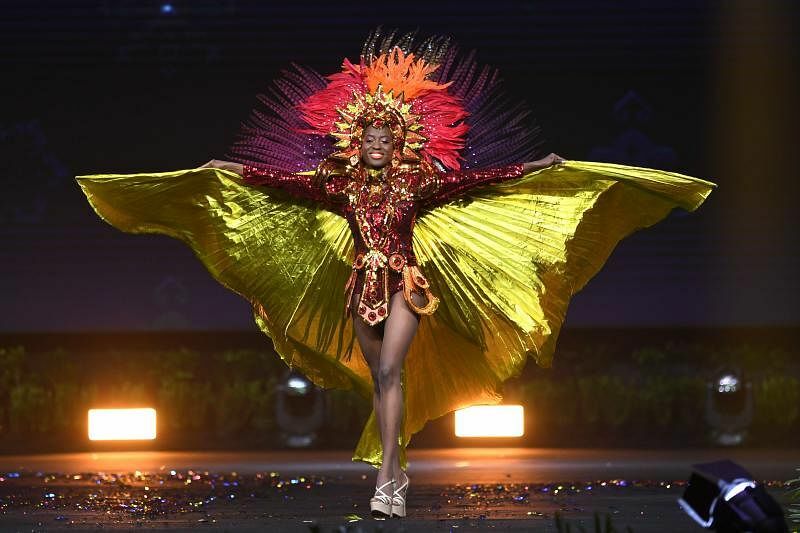 Many of the outfits’ colors reflect their nation’s flags, while others took their cues from the flora and fauna indigenous to their country; each woman’s walk was accompanied by explanations of what the costumes were meant to represent.